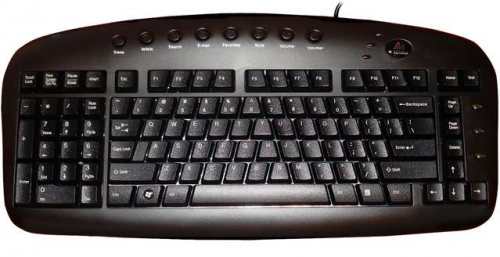 Exclusive "A-shape" Key Layout prevents Repetitive Strain Injury (RSI) from your wrists and arms. Center "A-type" keys matches the ways your fingers naturally move and provides maximum comfort while typing. Customized all your special needs. 12 Programmable keys: Customized all your special needs with 12 Programmable Hot-Keys to expedite and thoroughly utilize your computer usage time.